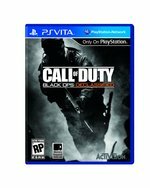 With the Black Ops arm of the Call of Duty universe making itself known once again, handheld gamers are able to get in on the action with the PlayStation Vita. 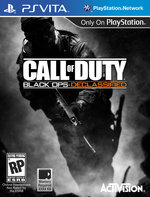 No mere watered-down port of the mighty console offereing, Black Ops II, Declassified is a brand new game developed exclusively for the PlayStation Vita from whole cloth. Rather than being set in the murky future of the console games, Black Ops Declassified is set in and around the time periods explored in previous Call of Duty offerings. The PlayStation Vita's unique hardware is being put to good use. The dual analog sticks make Declassified a thoroughbred shooter, while the touch screen and rear touch pad make it something a bit different. The rear pad will be used for holding your breath, while a tap or a swipe to the front screen will deploy a grenade or a melee attack. The game also gets an all-new mode called Hostiles. Familiar to first-person-shooter fans, it includes wave after wave of increasingly tough hostles to mow down. No Call of Duty game would be complete without multiplayer, of course. The game offers four vs four matches played out over wi-fi. Declassified is, basically, a full-blown Call of Duty experience that you can take with you anywhere!